THE QUEEN OF BB CREAMS HAS ARRIVED! Twenty-one cult products, including sixteen BB creams, pacts and concealers from leading Korean cosmetic label, Skin79, make their debut in Singapore on 26 April 2010. The first skincare brand to give Koreans BB creams in 2006 and invent a whole new skincare category, Skin79 has ignited a worldwide BB cream craze! Dubbed the Queen of BB creams for its regal ingredients like gold, caviar and pearls, and glamorous packing, Skin79 has been topping the skincare charts in Asia. 1. TOP-SELLER IN KOREA, JAPAN AND TAIWAN Ten million BB creams have been snapped up worldwide since its launch. That means, 5,556 fly off the shelves every day! 2. 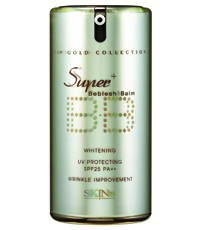 WIDEST RANGE OF BB CREAMS Skin79 has a BB cream for every age group, skin type and makeup preference. 3. LUXURIOUS ORIENTAL INGREDIENTS Think gold, pearls, diamonds, caviar and precious herbs – you get the idea. 4. 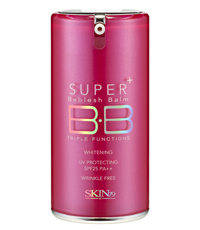 SUPER SKIN-SAVERS These BB creams pack any many as 10 skincare benefits in a single product – they whiten, improve wrinkle, fend off UV damage, nourish, hydrate, build resilience, protect skin against pollution, control sebum, and provide coverage. 5. UP THE GLAM-O-METRE These gorgeous bottles and compacts will sit beautifully on any dresser. Skin79’s all-time best-seller, this product offers a one-step quick-fix for a total of 10 beauty benefits. It improves wrinkles, whitens, fends off UV damage, nourishes skin, hydrates, builds resilience, protects skin against pollution, controls sebum, and acts as a makeup base and foundation. Its girly pink packaging also speaks to the princess in every young lady, and is a charming acquisition to any dressing table. ADENOSINE AND ARBUTIN penetrate deeply to whiten, brighten, iron out wrinkles and give skin elasticity. OSMOPUR, a patented compound of sunflower, rice bran and ivy extracts shields the skin against environmental stressors. PHYTO COMPLEX, a potent blend of plant extracts, deeply hydrates and nourishes the skin. SPF 25 PA++ protects the skin against UVA and UVB rays, which burn the skin, cause premature ageing and contribute to cancer. ULTRAFINE MAKEUP PIGMENTS with light reflecting properties works as a base to correct skin irregularities and uneven skin tone, while giving skin a natural, no-makeup look. Apply after moisturizer, pump and apply a small amount of BB cream over the entire face. Spread generously for natural coverage and glow. Vanity fare can’t get any richer than this luxurious BB cream. Choc a bloc with caviar and gold, it pumps skin with proteins, minerals, vitamins and energy to recharge tired skin and give it a million-dollar glow. With similar functions and ingredients as Hot Pink Super Beblesh Balm Triple Functions, it offers 10 skincare benefits in a single step. Its classic gold packaging is absolutely regal. Key Ingredients: CAVIAR contains proteins, minerals and key vitamins to intensely nourish, hydrate and prompt cellular regeneration. GOLD has inherent illuminating properties. This precious metal is also believed to contain energy to regenerate the skin, stimulate blood circulation and prompt lymphatic drainage. Pure alchemy! LIMITED TO THE FIRST 100 FR3B’R! This entry was posted in Uncategorized and tagged Fr3b Singapore’s 1st Sampling Concept Store, Fr3b.com, free beauty samples, Free giveaways, free samples, freebies, S’pores 1st Sampling Concept Store, singapore free beauty samples, singapore’s 1st online sampling platform, SKIN79 HOT PINK & VIP GOLD. Bookmark the permalink.